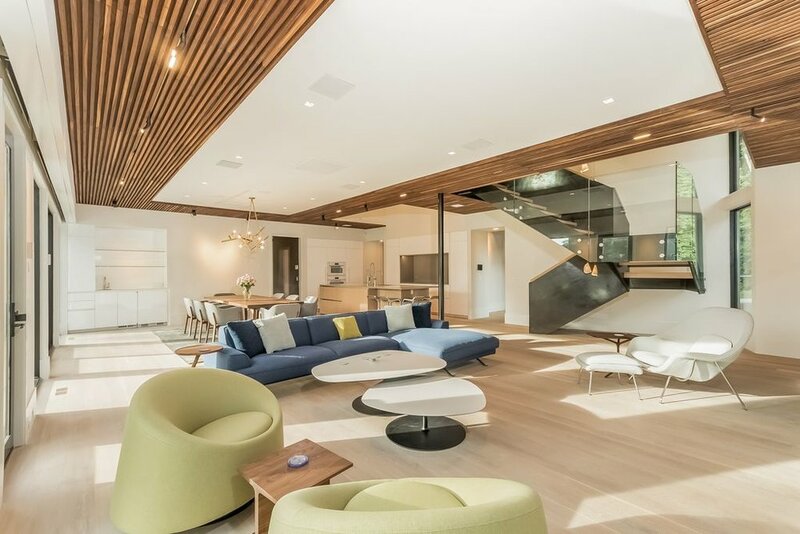 On an inlet of Long Island Sound, this home has many vibrant yet sleek details. A pattern of walnut frames the ceiling. The cabinets that surround the fireplace have aluminum laminate exteriors and high gloss teal interiors. The three large doors are on rolling tracks while an impressive sound system is hidden behind 2 long fabric panels across the midsection of the unit.